The easiest way to take some pressure off is just knowing the purpose of your event. Is it a big birthday party? A kids’ party? A wedding? An intimate anniversary celebration? An 18th or 21st? An engagement party? A naming ceremony? Once you know what the event is for, you can decide more of the finer details including if it is a formal, informal or cocktail event? Where do you want to host it? When do you want to host it? How many people will you invite? Being clear on the details upfront will help you feel confident in your planning. The appropriateness of a venue can make or break your event. Things to consider include: how many people the space caters for, what equipment you need for the event (ie. entertainment), what parking or transport options are available for guests, is the layout of the room appropriate. 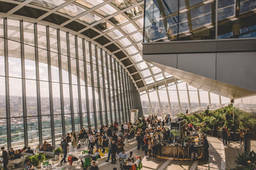 There’s a big difference in venues that would cater for an intimate cocktail event compared to a formal sit-down dinner for 150 people. Your budget may also impact which venue you can afford. Make an appointment with the venue manager and visit the site to ensure it is right for your needs. Remember when you’re considering decorating your event, feeding your guests or offering alcohol at your event – it all costs money! Lots of event venues offer alcohol packages that will help you get the best price for your guests. You may also need to consider costs carefully, some venues may give you a total price, other venues may give you a cost per head. Calculate it before you commit to it! And budget for every detail! Everything can cost money in events – from chairs, to glassware, to having a microphone, entertainment, sound, lighting, chair covers, tablecloths etc. Be realistic, ask questions (even if they feel silly) – costs can escalate very quickly. But it’s better to be safe than sorry when it comes to your budget. Visit the PartiesandCelebrations directory to find event planners who may be able to help you organise your next event.